We repair all types and makes of commercial ovens. 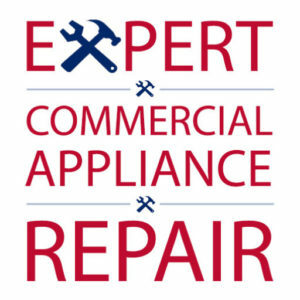 You can trust our experts with your commercial oven and restaurant equipment. All of our repair technicians have a minimum of twenty years of experience and we are certified by the state as well as fully insured. 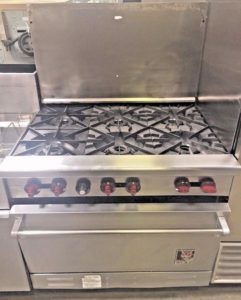 We have repaired all types of commercial ovens including commercial steam ovens, convection ovens, accelerated cooking ovens, combination ovens, pizza ovens, conveyor ovens, toaster ovens and finishing ovens. Additionally, we have many of the necessary spare parts either on hand or at our warehouse in order to help ensure same day service. We carry parts for many of the leading commercial oven manufacturers including: Duro, Doyon, Garland, Thor, Cosmo, Bosch, Moffet, Capital, Hobart, Baker’s Pride, Peerless, Viking and much more. Additionally, many of our repair techs are also certified with the EPA. This is important for maintaining the law’s strict guidelines for sanitary storage measures and ensuring the safety of your customers. In fact, we go above and beyond many of the state’s minimums to always ensure the best service possible. Repairing ovens, stove tops and hood vents can be very dangerous (especially units that are gas powered). Such things should be left to Experts only. We’re open 24/7 and service the entire Las Vegas metro area including Henderson and North Las Vegas. We’re Open 24-7 so Please Feel Free to Contact us Anytime! (702) 919-7633 We’re The Repairmen who can Safely repair your oven!